The question hung in the air, the chasm between us suddenly gaping like a bottomless pit. Ah, and there it is, I thought to myself. The “Vineyard” question. When I was upgrading myself to what’s known as ‘M.Div. equivalency’ (prerequisite to pursuing a Doctor of Ministry degree) at Providence (my alma mater), I approached one of my professors with the idea of developing a course there. He had been intrigued by the idea, and suggested that I submit a written proposal and my ministry resumé, which led to an interview with one of the vice-presidents of something-or-other. Only people with doctoral degrees could design or teach courses. I mentioned the name of a part-time teacher who didn’t hold a doctorate. Students currently enrolled in master’s level courses didn’t have the time to develop or teach a course. I mentioned the name of a first year master’s level student who was currently teaching. The VP shuffled through some papers on the desk, looking irritated, and then turned and gave me a fixed-stare-down gaze, and asked “the V-question”. And that was that. The interview had been over before it even began. The “Vineyard resumé stain” — as one of my friends in a different denomination calls it — was in full effect. And I realized that I was dead meat no matter what I said. Did the interviewer honestly think I would denounce the Vineyard in hopes of increasing my chances? After a moment of stunned silence, I simply re-iterated what was clearly stated on my resumé: I had previously pastored in two Vineyard churches, one in Victoria BC and the other in Los Angeles. The irony is that even within the Vineyard, it was and is difficult to define at times what is “Vineyard” and what isn’t. During its early years in particular, the Vineyard was pulled in a variety of directions, and struggled to maintain the core of its vision and mission. 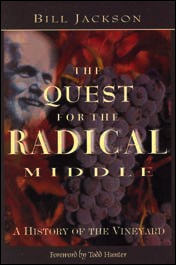 The Quest for the Radical Middle is an excellent history of the Vineyard movement. Written in 1999, author Bill Jackson mentioned that by the early 1990s — barely ten years into the movement’s story — people were already wrestling with the question of what makes a Vineyard, truly “Vineyard”. Echoing other voices within the Vineyard, Jackson observed that the answer to that question often depended on what era the Vineyard was going through when you first got involved. And as the image at the top of this post indicates, there have been some significant influences that have (depending on your point of view) either added to, or detracted from, the Vineyard's self-identity as a “radical middle” movement — evangelical in theology and (c)harismatic in practice. The “Vineyard resumé stain” that the seminary VP was reacting to — I wonder which “Vineyard” was the problem? 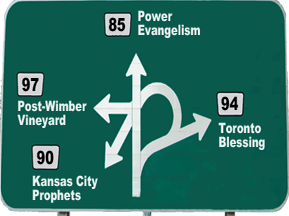 The Kansas City Prophets? The Toronto Blessing? The whole kit ’n’ kaboodle? Some weird caricature based on the “research” of heresy-hunters? I mean, depending on what you think constitutes the "real" Vineyard, I may or may not fit your definition (I may not even be welcome in some Vineyard churches). After all, I wrote Post-Charismatic, which got me into hot water in certain circles for questioning and critiquing some charismania excesses and sketchy teachings. And I also wrote The Genesis Café: Conversations on the Kingdom, which tempts those in the postmodern “you can’t know anything with certainty” circles to eye me with wary suspicion. I believe that all the gifts of the Holy Spirit are available today; I believe in the inaugurated eschatology of the “already-and-not-yet Kingdom of God”; I reject hype and hyperbole in ministry; I believe we are called to care for the poor and challenge injustice... the list could go on. The Vineyard is far from perfect. The extreme charismania camp continues to be well-represented in some circles, and the postmodern semi-liberalism has its adherents as well. But the classic radical middle theology of John Wimber as expressed in his (very 1980s-sounding) Power Evangelism also continues, and that is where I still find my connect to the movement. The worship journey is a fascinating one, but not always for the reasons you might expect. 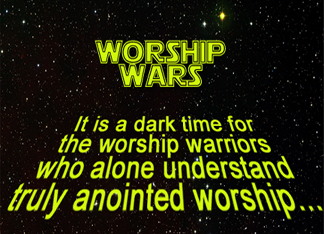 Who knew that a desire to go deeper with God would inspire "wars"? Or that churches would feel compelled to create genre-specific musical ghettoes in order to cope? 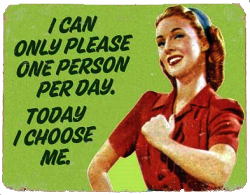 Of course, no one ever stops to consider (much less admit) that we all have this tendency to make everything about us, and our own likes/dislikes. Somewhere along this journey, there is the pitfall of becoming a worship snob. Perhaps some of you can recall hearing the phrase "we sing songs to God, not songs about God." This new-found sense of intimacy in worship was a breath of fresh air. We were experiencing worship in a new way by singing to Jesus, so obviously we had now cornered the market on intimacy with God. And, without realizing it, we became worship snobs. Of course, the Psalms confirmed for us that even that manly King of old -- David -- wrote songs of that boldly proclaimed, "I love You, Lord, my strength..." (Psalm 18:1). So, somewhere in the middle -- intimacy=yes, syrupy=no -- there should be modern worship songs where we tell God how much we love Him (ever heard of the Great Commandment?). But the problem we faced was our worship snobbery, in thinking that we were more authentic because we had discovered "real" intimacy in our worship. Later, we learned all over again that life -- this side of the Kingdom coming in its fullness -- is hard. Freakishly hard, at times. And we again turned to the Psalms, and discovered just how many of Israel's worship songs were laments. This broadened our worship repertoire, or at least, it should have. Instead -- however unintentionally -- we became enamored with the Lament. Wallowing in it. Parading our pain and questions before God as if only that constituted "truly authentic" worship. And, once again failing to notice our snobbery, we looked down our enlightened noses at the trite-ness of "happy clappy" ditties that other churches used. 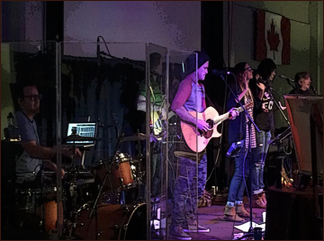 Until a certain Sunday when a visiting worship team led us in exuberant praise and celebration, after which one of our friends remarked, sheepishly, "I'd forgotten what the 'joy of my salvation' even felt like!" And shortly afterwards, we rediscovered all over again the power of the Psalms which spoke about God, His love, His faithfulness, and His never-ending mercy. Imagine our chagrin to realize that all three elements are represented in the oldest book of worship that we have: the Psalms. Songs of praise about God. Songs of intimacy with God. Songs of lament, questions, and pain brought to God. All considered "worship" in God's eyes. The worship journey is a fascinating one. We would learn so much more if we approach it with humility and an open heart. 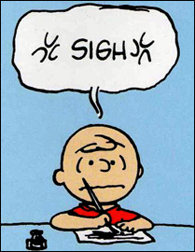 Lord, save me from becoming a worship snob.